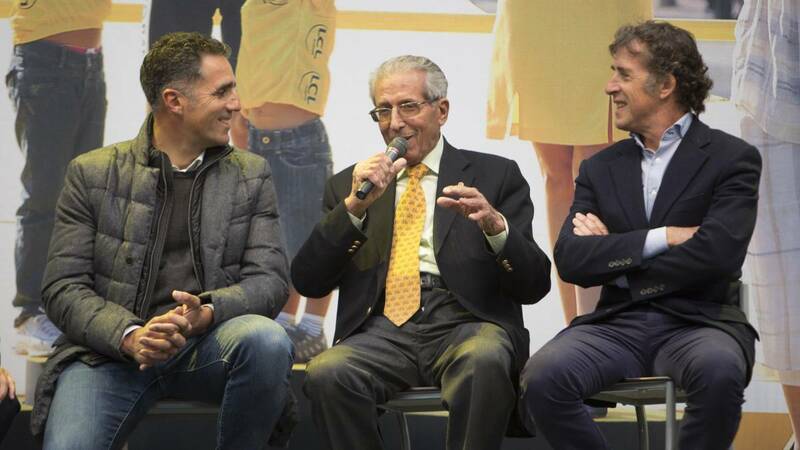 The Toledo Federico Martín Bahamontes will be honored this Sunday in Zaragoza by the Association of Excorredores Ciclistas de Aragón in his twentieth annual party. The Toledo Federico Martín Bahamontes will be honored this Sunday in Zaragoza by the Association of Excorredores Ciclistas de Aragón in celebration of its twentieth annual fiesta. Next to Bahamontes (Toledo, 1928) will also be distinguished the former Aragonese cyclists Manuel Monclús and Pablo Gil in the celebration of the party that will take place from 13.30 in the Hotel Ilunion Romareda of the Aragonese capital. El Aguila de Toledo, which was the first Spanish to conquer the Tour de France, a fact that in this 2019 are met 60 years and for which he was recognized in Zaragoza, he was also lavished in his early years by the Aragonese roads in different tests such as a Mountain Championship in which he ended up being imposed ahead of the best Aragonese cyclists of the time as, among others, the president of the Association and organizer of the event, Adolfo Bello, or the deceased José La sickle and José Escolano. Adolfo Bello reminded EFE that Bahamontes had a close friendship with one of the cycling patrons of the time, Baltasar Ramos who, through his company Frutos Ramos, gave numerous support to different cyclists and teams and was "a staunch follower "of the toledano to which it tried to support there where it competed, especially in the French races. The Association of Excorredores Ciclistas de Aragón in these twenty years has paid tribute to different cyclists or people linked to the world of cycling of the Community or who have competed in your tests. Among the most prominent are the deceased Jesús Rodríguez Magro and David Cañada, as well as Marino Lejarreta, José Miguel Elías or Angel Vicioso the year of his farewell.